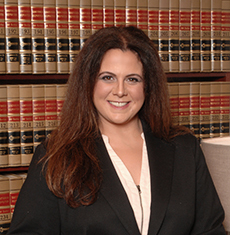 Lauren A. Favret is an associate attorney practicing in the firm’s personal injury division. Lauren received her Bachelor of Arts degree in English Literature with minors in Italian and International Relations from McGill University of Montreal, Canada. She received her Juris Doctor from Loyola University College of Law. Miss Favret received the highest grade award in her Moot Court class and served as Chairwoman of the Moot Court Board, a program consistently ranked at the top in the nation. Additionally, Lauren was inducted into The Order of the Barristers for excellence in oral advocacy and brief writing. Prior to joining the firm, Miss Favret served as a Senior Assistant District Attorney for the Parish of Orleans, where she tried more than forty judge and jury trials. McGill University of Montreal, Canada, B.A.